The weather is cold again and the time is right for another dark beer on tap. 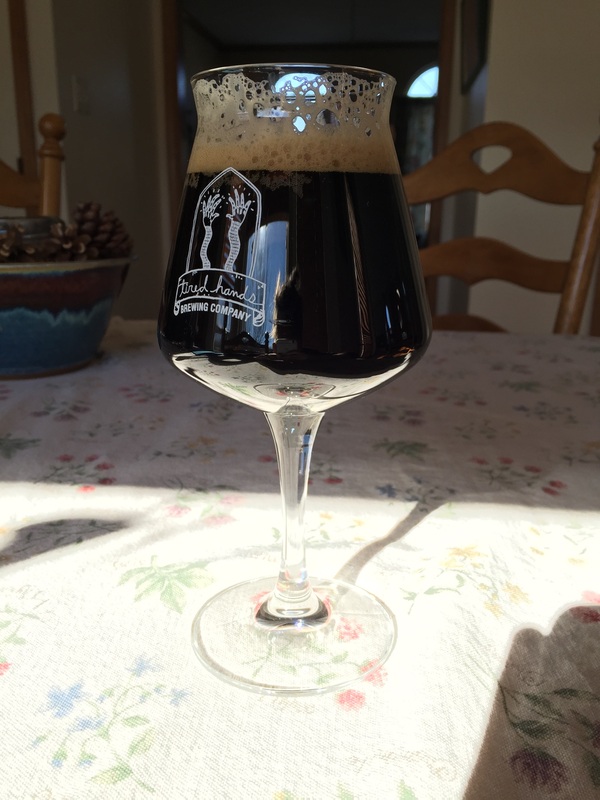 I always find my stouts get better with a little time under their belt so I planned to make this stout in advance to savor it during these cold winter months. Oddly enough, the idea came to me during the heat of August while I was relaxing in the pool where dark beers are the last thing I want to drink. I’ve brewed this recipe three times now, but every time I put a little spin on it to spice things up. 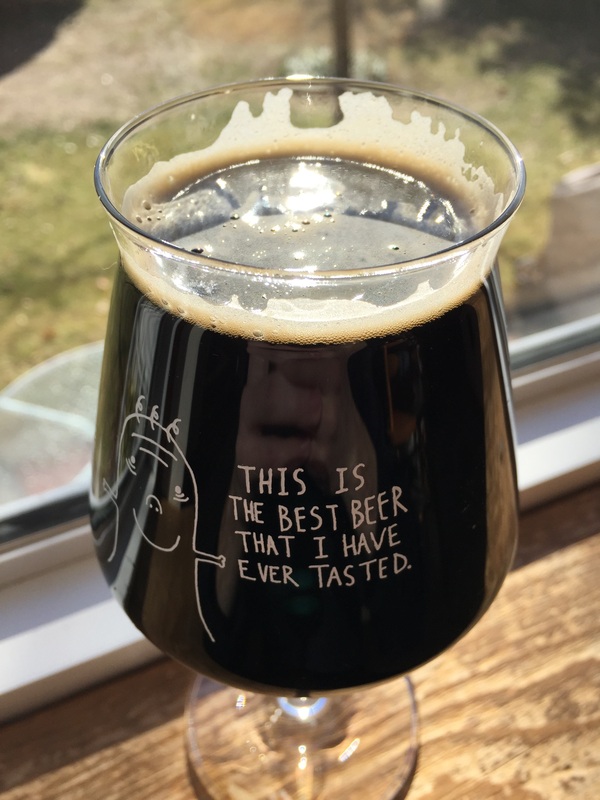 This time I had the idea of doing a sort of dulche de le sweetened coffee stout, but when it came time to make cold pressed coffee to add to the keg, I found that this beer didn’t even need it! A little side note: after three years of brewing, this was the first beer I entered into a competition where it took third in the Stout category! Time does wonders to all stouts. This tasted great in September, but the weather wasn’t right for it yet, and it has definitely gotten better over the past few months. Flavors have melded and smoothed out. It’s smooth and bittersweet. Smells like a good chocolate liqueur and toasted bread. Good amount of body, not too rich. Perfect amount of carbonation keeps it from coming off as too thick. It’s still very drinkable without being too sweet. It tastes chocolaty, roasty/toasty, and it’s very reminiscent of an sweetened iced coffee minus the sugar overdose. I love what lactose does to stouts as it really balances out the low amount of back end bitterness on the finish. I intended to add coffee to this beer, but honestly it doesn’t even need it. It tastes like coffee was added to it already just from the dark grains and I think any more coffee in this beer would just overwhelm it. This is the perfect dessert beer and it would go great over some ice cream. This is my idea of the perfect winter beer. Looks good. Any idea of how many IBUs the beer might have? It’s only around ~30 IBU. Cheers!